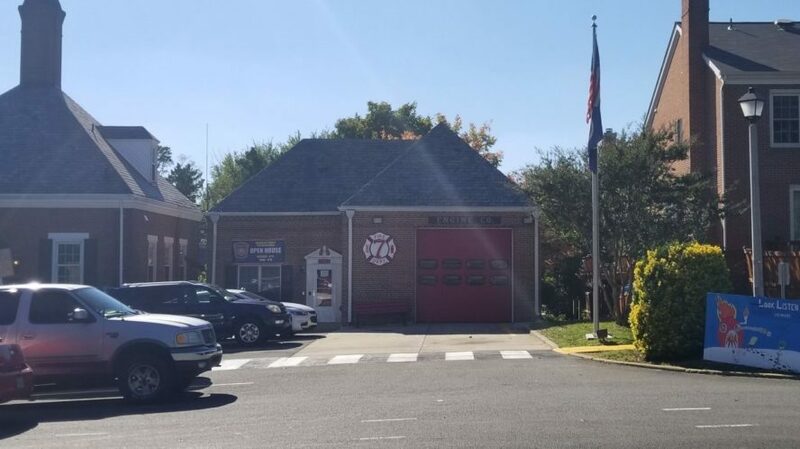 The Arlington County Fire Department (ACFD) announced Thursday, Oct. 25, its plans to temporarily relocate Fire Station #7 (Engine 107), at 3116 South Abingdon St., until further notice due to structural and safety concerns in the station. A recent engineering evaluation noted concerns with the station’s apparatus bay floor and whether it can support modern-day fire equipment. Part of the living quarters for the fire fighters is located below the apparatus bay. The County is conducting a more thorough inspection of the concrete slab to determine feasibility and extent of possible rehabilitation and repair options. The fire station is expected to be out of service until the analysis is complete. Fire Station #7 personnel and equipment will be moved to Fire Station #4 in Clarendon (3121 10th St. N) on Tuesday, Oct. 30. Keeping Engine 107 parked outside of Fire Station #7 was not an option because of the colder weather. Dropping temperatures create freezing issues for the water stored in the truck for fire suppression and the medications that are kept on it for Emergency Medical Services. Built in the 1940s, Fire Station #7 is the County’s only one-bay station where the apparatus bay is located above a lower level. The weight of engines housed at the station has roughly doubled since the station was built, including an approximately 60-percent increase in weight since the 1983 renovation. For more, go to the County’s information webpage. Macedonia Baptist Church will build a seven-lane swimming pool in the Nauck neighborhood, with a seasonal dome.